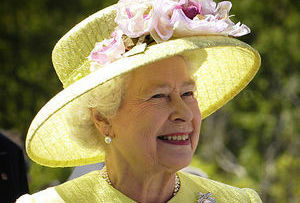 It must be all smiles and a celebratory glass of Dubonnet at Buckingham Palace today, after the Queen discovered that she will pocket £5m more from the taxpayer this year than she did in 2012. But why, we hear you ask, are we handing the monarchy more cash in times of austerity? It’s all to do with a change in the way the public contribution to the royal finances is handled. It used to be the Civil List, a mysterious and opaque method of bankrolling the Queen’s official engagements. But George Osborne scrapped this back in 2011 in favour of the Sovereign Grant, which pays the Queen 15% of the value of the Crown Estate’s profits in any given year. The Crown Estate handles the queen’s property and business interests on her behalf, and it owns large swathes of London property including the whole of Regent Street, most of the UK’s coastline and millions of acres of farmland. In 2012-13 it generated profits of £240.2m. That means that whereas the Queen earned £31m from the taxpayer last year, she will earn £36.1m in its official disbursement this month. The point of moving over to the Sovereign Grant was first to make the system more transparent, and second to attempt to tie the Queen’s earnings to the economic turbulence that everyone else has to deal with. The fact that she’s had a stonking year is more down to good business by Crown Estate bosses than some gratuitous handout at a time of economic woe. Still, whatever the reasons, it’s alright for some. To join the Queen in raising a glass of her favourite tipple: The Queen's favorite drink is a form of Dubonnet cocktail: one part gin and three parts Dubonnet, served in her personal crystal glass with a pitless slice of lemon under two ice cubes. If you can't get hold of the queen's personal crystal glass, a standard tumbler will do. Will Heathrow actually get a third runway?